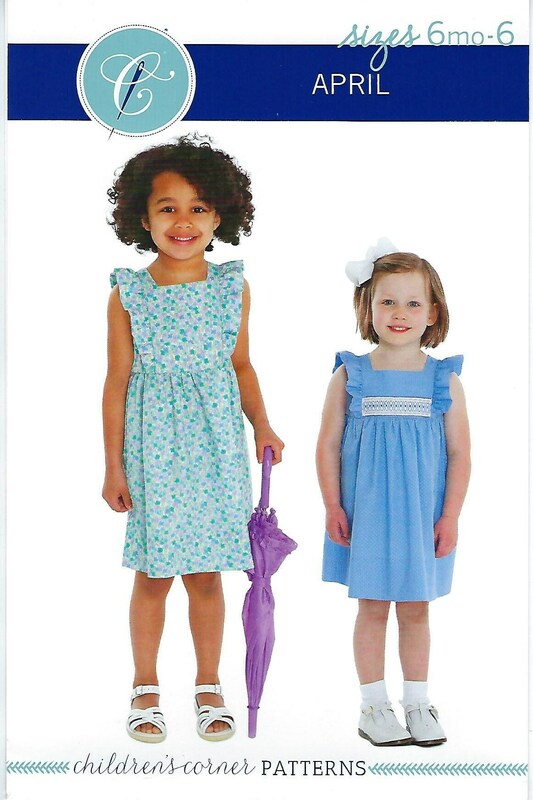 DESCRIPTION: APRIL is a dress perfect for May flowers inspired by the vintage pinafore. 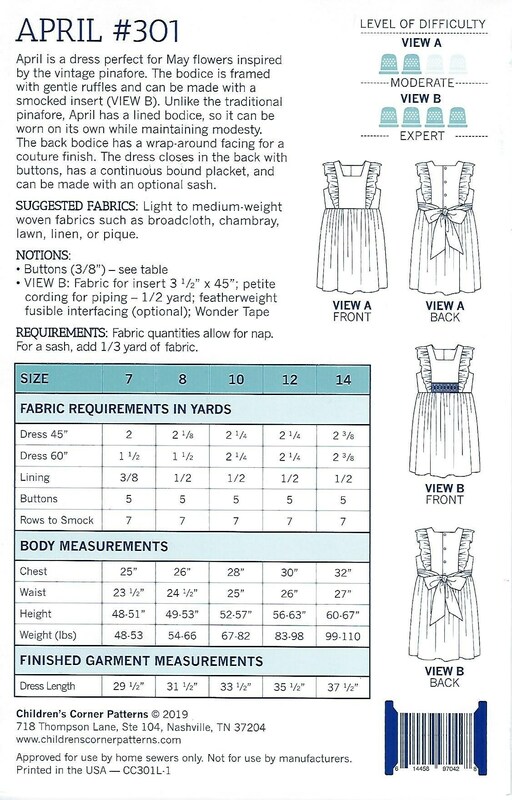 The bodice is framed with gentle ruffles and can be made with a smocked insert (VIEW B). 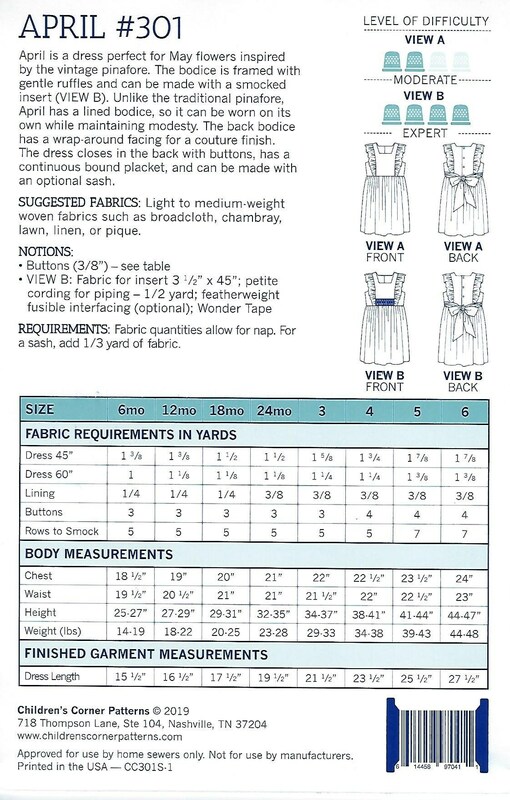 Unlike the traditional pinafore, APRIL has a lined bodice, so it can be worn on its own while maintaining modesty. The back bodice has a wrap-around facing for a couture finish. 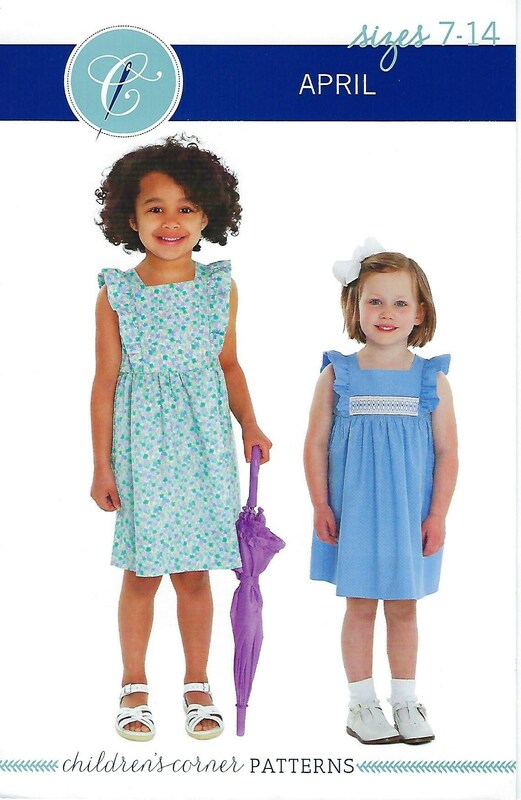 The dress closes in the back with buttons, has a continuous bound placket, and can be made with an optional sash.